Something really cool happened this past weekend. 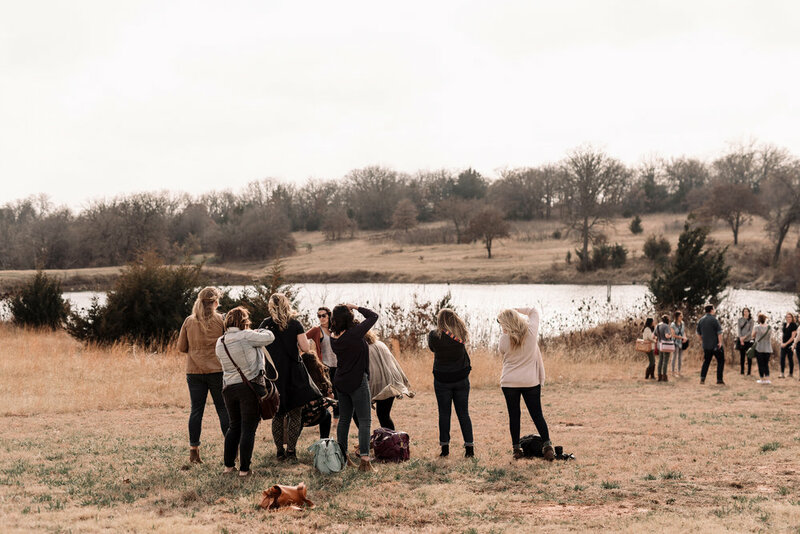 35 photographers from Oklahoma + Texas gathered for the common goal of building community in our industry, forming new friendships with fellow creatives and doing what we do best--photograph! I had seen it time and time again and I've experienced it myself more times than I can count. Those feelings that all good artists have: inadequacy, unhealthy competitiveness, loneliness, comparison, lack of motivation, creative ruts. We as creatives feel like we are alone in our struggles, as artists and as small business owners. We question if anyone else deals with this. We compare our lives, our work and our business to what we see on instagram. We question whether we are cut out for this industry or if its even worth it. I wanted to tell everyone that it is so worth it and you are never alone! So why don't we ever talk about it? Why don't we all share in our struggles and our successes? Why don't we shoot together more often? Why don't we all get together and have a meal, spend time physically together and build a thriving community that encourages and uplifts? The idea was brewing in the back of my mind since last October. 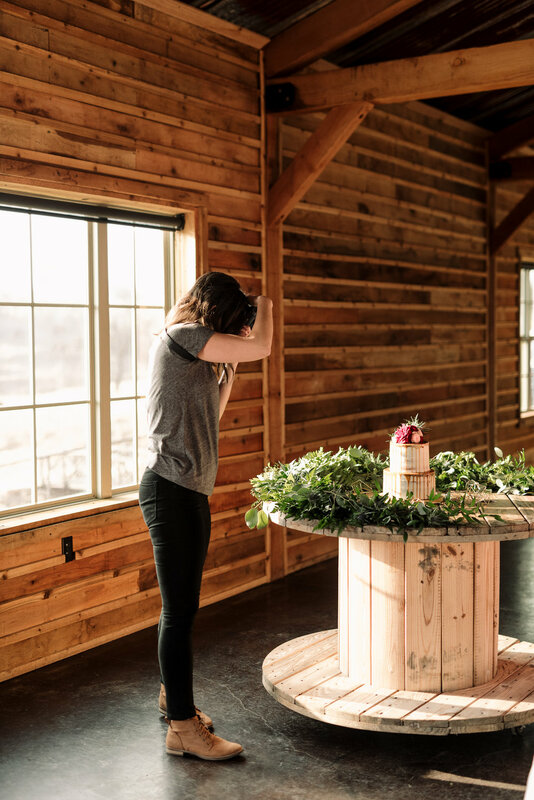 By that time, busy season for photographers was among us so I decided to tentatively plan the event for the Spring when the weather would be warmer. A few days after Christmas when I finally had time to sit down and think about my goals for the new year, I kept feeling a nudge to make this event happen sooner. If my goal was to build community, strengthen friendships and encourage my fellow photographers, why am I waiting to do that? Why not now? So, I started planning. I wanted this to be a real deal. An event that brought value to those that attended and made them feel part of something truly encouraging and uplifting so I wanted it to have an official name. I eventually came to call it Flourish Collective. The name comes from a simple goal, that we become a collective community of photographers who not only grow together, but flourish and thrive through encouragement and support! 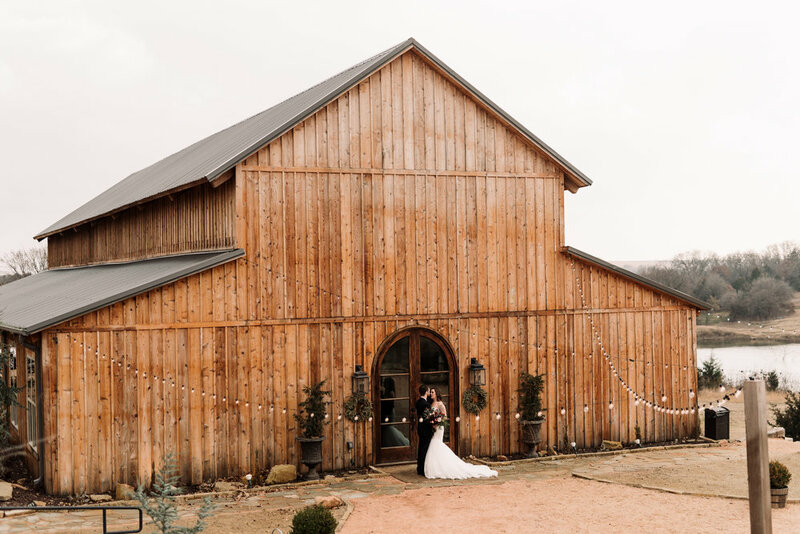 It was held at the gorgeous Rosemary Ridge venue outside of Stillwater, OK, the perfect middle ground between OKC and Tulsa. The folks there were so kind to agree to host this event and make sure our dreams were fulfilled using their beautiful space! It was truly perfect for this! We all gathered to hear a "pep talk" from Ellie Berry, a local photographer and educator (and my personal wedding photographer + friend), before splitting into small groups to take headshots of each other and get to know each other! I even got my own headshot taken! Thanks Susan! 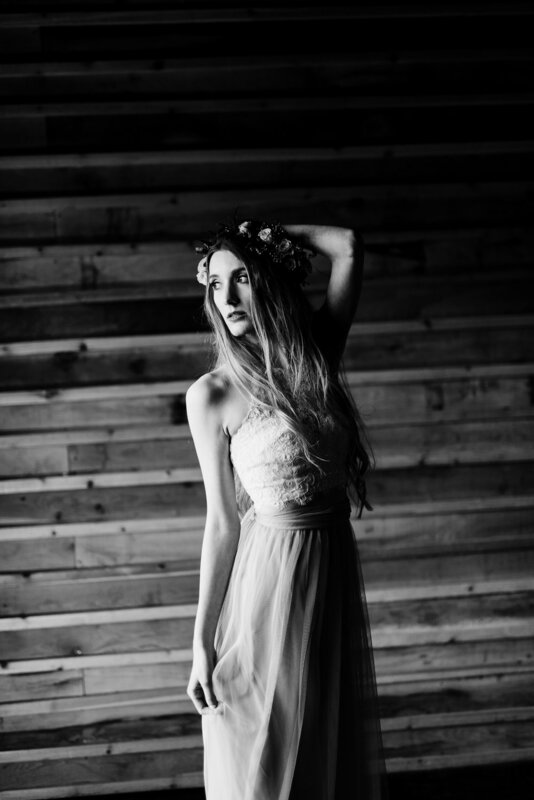 After headshots, we started the styled shoot rotation. Photographers were put in groups of 8 or 9 that would photograph 4 different "subjects" in 30 minute increments. We had two bride & groom rotations, two different bridal looks, and reception details to photograph during this portion of the day! The photographers took turn posing and directing the models, learned different shooting styles from each other, tips and tricks to evoke emotion, and building their portfolios with beautiful images! It was so fun to witness it all happen! There were so many creative ideas and everyone brought something different to the scene! I also love looking at all the photos from the event now. It's fascinating to me that even though we were all shooting the same people, places, lighting, etc., all the photos look so different! It just goes to show that we all have our own little flair to our work and that's something to be celebrated! We had the most amazing team of vendors who contributed their time, talents, products and services to creating the beautiful set up! I can't thank them enough for their collaboration and going above and beyond! It was so fun working with each and every one of them and they exceeded my expectations! I also can't thank my beautiful and sweet friends, Kyle & Bri, Kendall & Kirby, Becca, and Jenny for modeling for me! They were total troopers--modeling for 2 hours straight is not easy! They were so gracious and looked amazing! I am grateful for their friendships! Here are some of the shots I got myself of the models and set up! 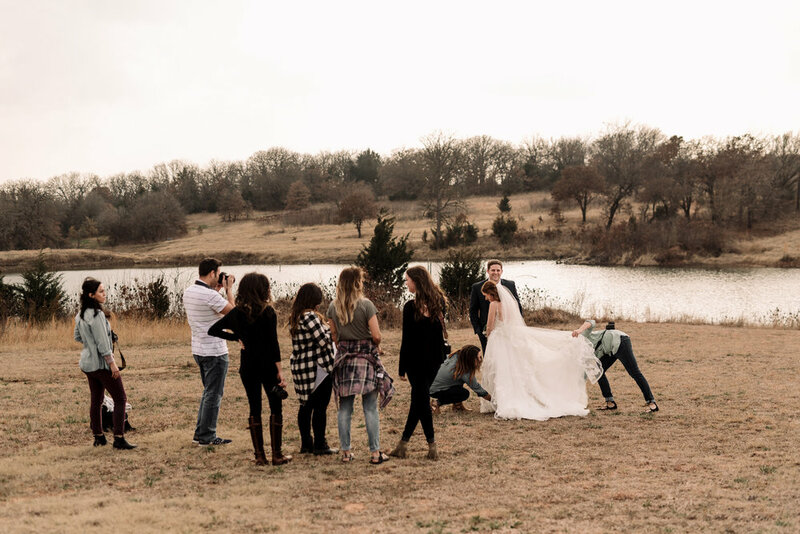 After the styled shoot rotation, we were all hungry and ready to eat and sit down! Fuzzy's Taco Shop was on the menu and I think everyone was pretty excited about that! :) We ended the night eating dinner together. Each photographer got a souvenir mug to remember the event by! And we cut into that beautiful cake that tasted just as delicious as it looked! I have to give another huge shoutout to my good friend, Vivian of Edmunson Day Of! 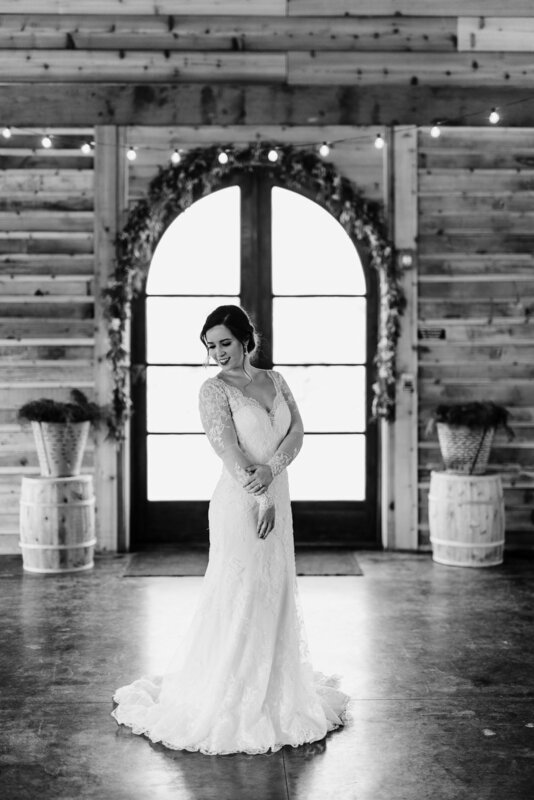 She helped me coordinate the whole day and I could not have pulled it all off without her! She kept us on track, thought of issues before they became problems, and helped take some things off my plate so I could enjoy the day too! She's the best and I so appreciate all she did for Flourish Collective.